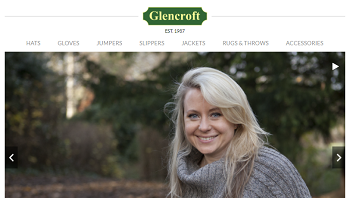 Ed now plans to use their ideas for his new website launch for his family company, Glencroft, and to grow his customer base. He said: “I thoroughly enjoyed the whole process! From briefing the students, through to seeing their presentations and the creative ideas that they came up with. The winning team accurately understood the brief and extensively researched the organisation and industry, which quite clearly showed in the presentation. Ed’s Yorkshire-based business sells products to other businesses globally, and he knew that launching a good website with a communication plan to boost website traffic, awareness of the products and consumer hype were key to its success. He challenged the marketing students to work in groups and create a six-month marketing strategy using both traditional and digital channels. In December 2017 he returned to hear their presentations, choose a winning team and give feedback. One of the winners said: “The whole project was extremely interesting. We undertook situational analysis and identified the target market, outlining potential benefits to the business. Our presentation culminated in a number of both online and offline suggestions to support the launch of Ed’s new website.